Place three marshmallows onto a stick. 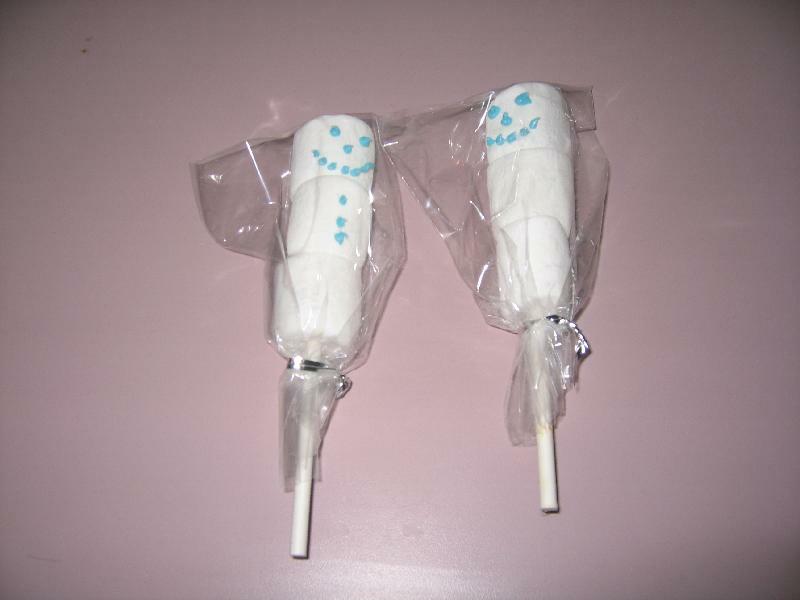 Place candy melts into a plastic disposable piping bag. Do not cut off the end. Microwave at 10 second intervals until the candy is melted. Cut off a tiny snip of the bag to pipe features onto the snowmen. Allow to dry.